Mississauga, ON, April 11, 2019 — EllisDon has once again braved the challenge to climb 5,000 feet up some of Canada's tallest towers and the numbers are in! 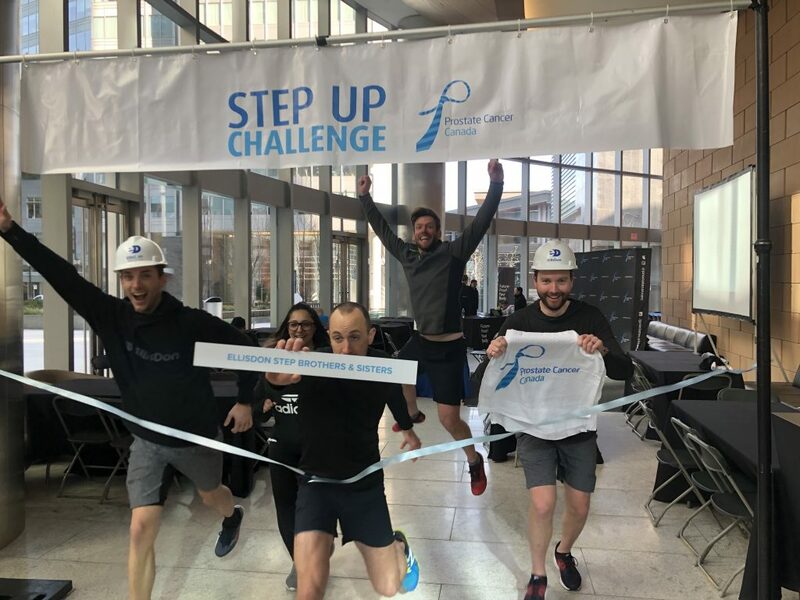 Teams from various EllisDon sites and offices gathered over the course of several weeks to take part in the 2019 Step-Up Challenge for Prostate Cancer Canada. “This year the EllisDon team(s) set some very respectable fundraising goals for the Step-Up Challenge and managed to not only accomplish, but exceed those targets,” said Andrew Anderson, Sr. Vice-President & Toronto Area Manager, EllisDon. In the weeks leading up to the challenge, participants took part in fundraising initiatives and donation collection. As a result, EllisDon raised a combined total of over $60,000 toward prostate cancer research and awareness. "I think it is amazing that EllisDon participates in the Step-Up Challenge across the country," said Sarah Geddes, Assistant Manager, People & Culture, EllisDon Calgary. "I have had loved ones diagnosed with cancer and without funding for research programs to further understand the disease and develop treatments, they may not have been able to fight and be here with my family today." The Step-Up Challenge took place in four major Canadian cities which included Toronto and Calgary on March 3, Vancouver on March 10, and, Edmonton on March 17. 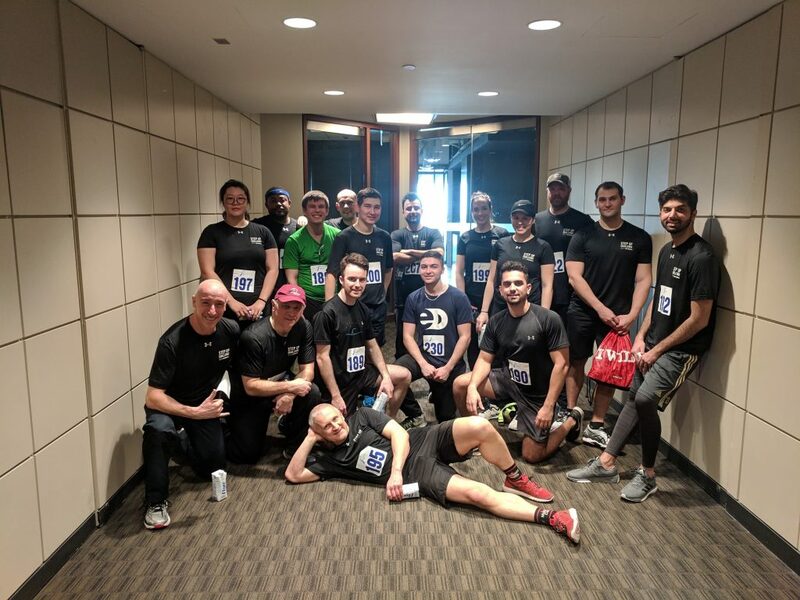 Teams of EllisDon employees raced up some of the tallest and most well-known skyscrapers in their respective cities, totaling 5,000 feet climbed in each city. “We are delighted and very appreciative of the efforts of the EllisDon committees, participants and donors in achieving such an excellent result. It is an extremely worthwhile cause, and an achievement that we are very proud of,” said Anderson. "I am proud to work for a company that recognizes the importance of supporting non-profit organizations and am grateful that I have the opportunity to play a role in positively impacting someone's life, even if it is just through raising a couple hundred dollars," said Geddes. The Step-Up Challenge is one of many initiatives that supports Prostate Cancer Canada and its objectives. Prostate Cancer Canada is the leading national foundation dedicated to the prevention of the most common cancer in men through research, advocacy, education, support and awareness. 1 in 7 men will get diagnosed with prostate cancer in their lifetime. In 2017 an estimated 21,300 men were diagnosed and 4,100 lost their battles. "I participated in the Step-Up Challenge because I wanted to challenge myself physically and mentally to climb each step of those high rise towers! 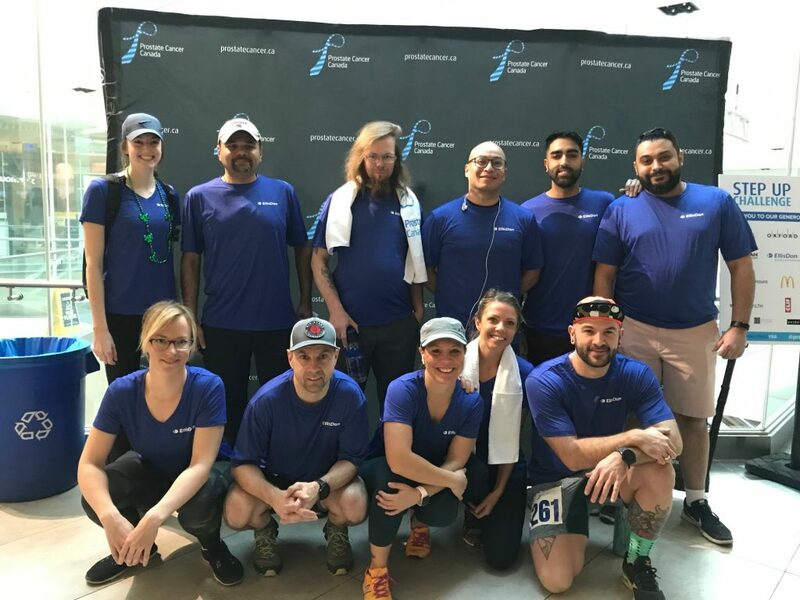 I was motivated by my team members and knowing that we were raising awareness for all the men and their families who are effected by prostate cancer in our country," said Karra Nowosiad, Executive Assistant, EllisDon Edmonton. EllisDon is proud to be a continued supporter of Prostate Cancer Canada.